This is also popular as chana masala made with white Chickpeas, onion, tomato and various spice powder. To get perfect dark brown colour similar to original chole recipe(not exactly) we need to follow two things i.e fry onion paste on medium heat till brown and other is by adding tea decoction while cooking, adding tea decoction adds only colour and doesn’t change any taste or flavour ,if one doesn’t like it can omit the use of it..
Festivals are on its way friends, why not try some easy and quick sweets to enjoy with your family and friends❤️.. 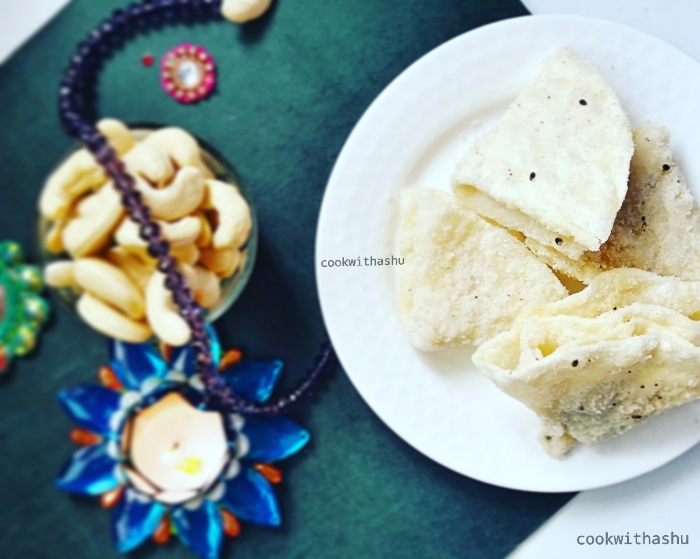 Here are few Malpuas /Malpuris to mark the festivals 😍…. enjoy! •Heat oil well, turn the flame to medium heat and pour 1 or 2 laddle full of batter and cook till its light golden and cooked one side, now with the help of 2 spoon slowly flip and cook other side till golden. 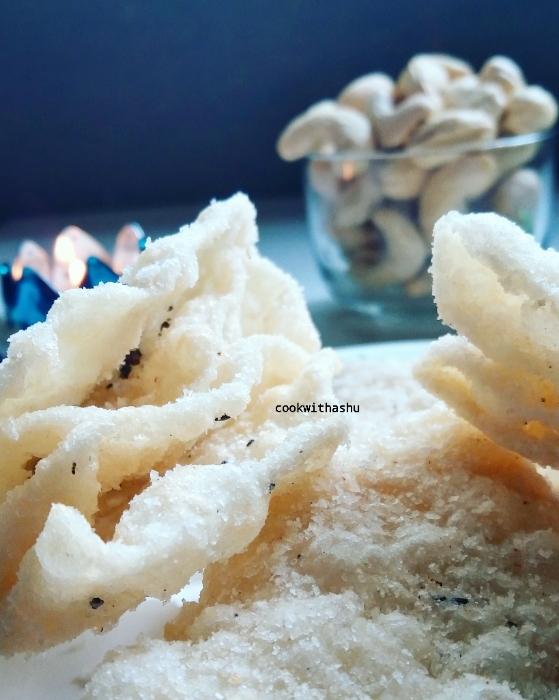 •When malpuas are done remove them using frying laddle and pressing it with the help of spoon so that excess oil is removed ,then put on a absorbing paper for a minute then store or serve topped with chopped dry fruits or chilled rabdi. *Each time u make malpuas see that the temperature of oil is hot when you pour batter, latter turn the heat to medium and cook. 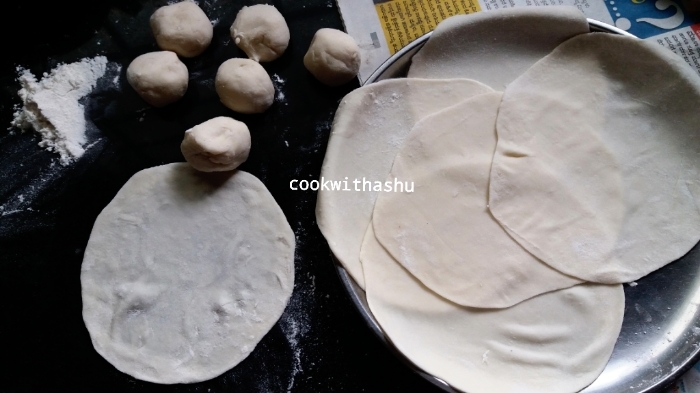 *To get perfect shape I made this in a small kadai with minimum oil in it and fried one after the other, later when you are ready ,you can make 4/5 at a time in big kadai. The measurements what I am sharing is for one time use for 1 kg _ 1.250gms of meat, You can double the quantity for storing the powder but I prefer making it fresh or a day before using it 😊, add extra chilles or chilly powder for spiciness while making curry or sukka or any other meat recipe as the spice level in this masala is medium spicy . We come across so many types of fish curries but of all i love Shetty’s recipes, I believe they make the best fish or chicken curry… They are very particular about their recipes, you can taste them in any Mangalore- Udupi -Kundapur region Resturants or small hotels there…. 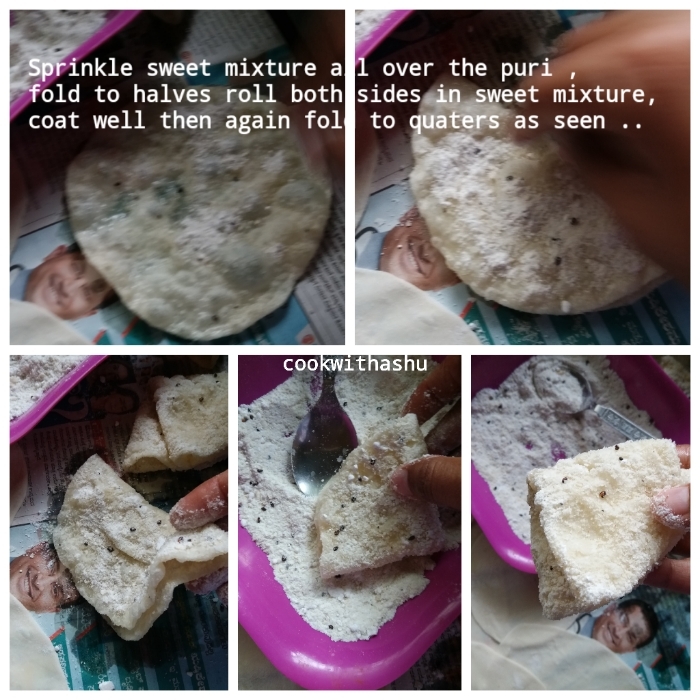 Here is a household recipe shared by my friend Raksha who is a bunt (Shetty),and a very good cook, even though she makes few recipes her curries or chicken recipes tastes best just like famous restaurant in Mangalore or Udupi… She says their curries tastes yum because they use roasted ingredients, they keep all ingredients like coriander seeds, cumin, Methi all ready dry fried and store as soon as they get it from the market, so it becomes easy to cook as and when desired and she says to follow step by step process in making any curry without making hurry 😊..
•Grind a fine masala using above ingredients mentioned for grinding using water. •Now in a tadka pan add oil, when hot add onions fry till red, turnoff flame and add curry leaves. •Enjoy with Neer dosa or Matta(red rice/boiled rice/Kerala rice)..
*The recipe can be used with Sardines or Anjal /king fish. Patrani Macchi a Parsi speciality dish where fish is cooked in green chutney and wrapped in banana leaves tastes awesome ..There are two methods of making it one is by steaming the wrapped fish or by cooking it in a pan closed as I have adopted here in making patrani Macchi , tastes absolutely delicious😋.. I have used Mackerel fish here , the recipe recipes tastes heavenly with pomfret fish too. *Give slit to fish so that fish gets well marinated. 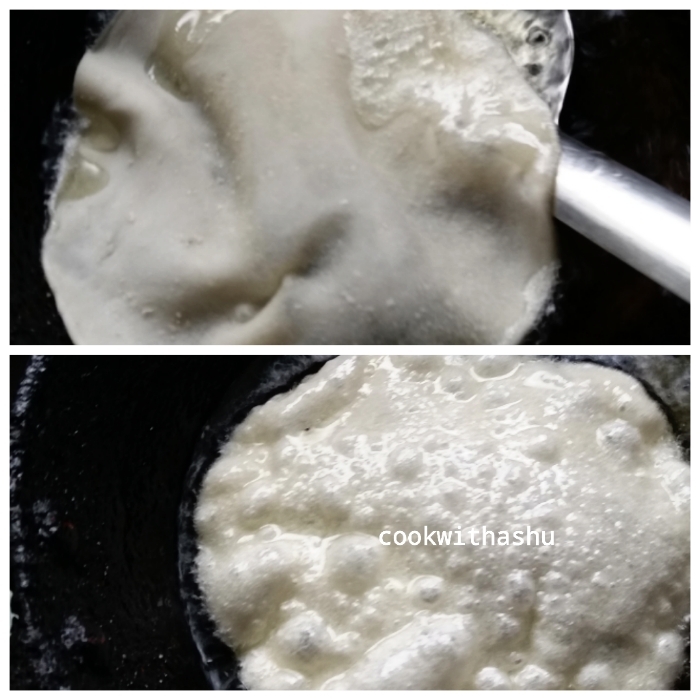 Korma which is also known as kormaa, qorma, khorma, kurma in different regions ..Different recipes are followed for making this gravy some use yoghurt , coconut milk, cream etc ☺️.. I make using coconut and with goodness of many other spices in it..
* keep gravy thick for wonderful results. *Same recipe can be adopted for potatoes, soya chunks, chicken, mixed veggies, mushrooms, ..